Michelle Kerr is an attorney and senior associate at MDA Consulting providing legal support and advice to clients in the construction industry. 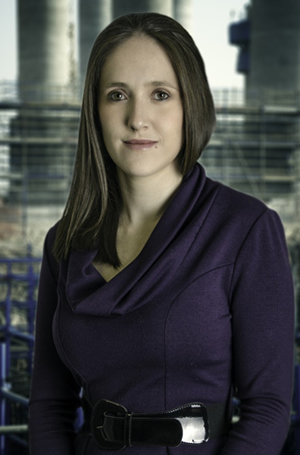 Michelle’s work focuses on the administration of claims made in terms of the standard form, as well as bespoke construction contracts and the resolution of disputes arising out of and/or in accordance with such contracts. Drafting, administration and resolution of claims made in terms of the standard form, as well as bespoke, construction contracts. Resolution of disputes, which have been referred to adjudication and/or arbitration, including the drafting of the necessary submissions and management and running of dispute proceedings, on behalf of either the Claimant or Respondent. Arbitration proceedings concerning the construction of the Waltloo and Langlaagte depots, 2012. Arbitration proceedings concerning the construction of a factory and stores in Luderitz, Namibia, 2012 to date. Preparation of various claims (for submission to arbitration) for defective workmanship in the construction of a crushing and screening plant on the Comide Mine, Democratic Republic of Congo, 2013. Administration and drafting of contractor’s claims, made in terms of both the FIDIC 1999 Red Book and NEC3, as amended by the Eskom Particular Conditions of Contract, on the Kusile Power Station Project, 2013 to date. Drafting of particular conditions of contract to the JBCC Series 2000 Nominated/Selected Subcontract Agreement, editions 4.1 and 5.0 and MBSA Domestic Subcontract Agreement, 2005 and 2008 editions, 2014. Adjudication proceedings concerning the construction of the Greater Eston Regional Water Supply Scheme, 2014.